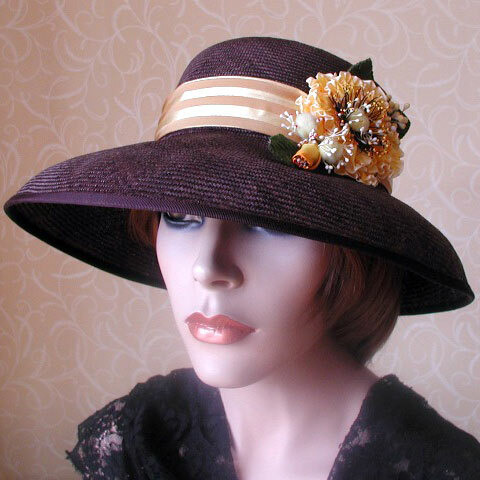 Straw hat - handmade with French vintage ribbon trim. A hand made, truly elegant summer straw hat. It is hand blocked in the old fashioned way, in straw, and has a wired brim. 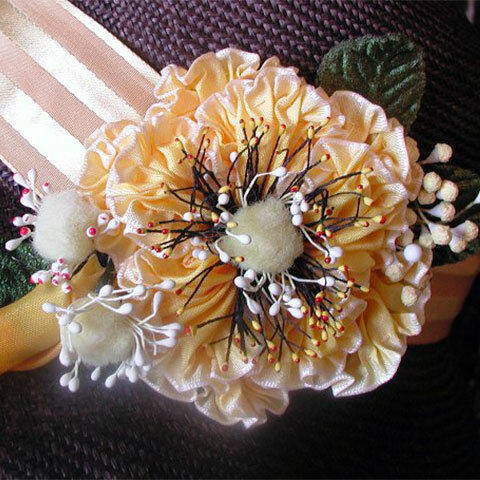 It is trimmed with a French vintage ribbon, and one of my hand made ombre ribbon flowers, which has French vintage stamens and buds. This straw hat will best fit size 22½” -23″. Might be best to use a hatpin as this style has a shallow crown, or if you prefer, an elastic could be added. Just let me know. Perfect straw hat for a summer wedding, day at the races or a garden party. I do not make 2 hats exactly the same, so you need never worry about meeting someone wearing the same hat.